The caterpillar of this species is smooth and green, with violet markings. 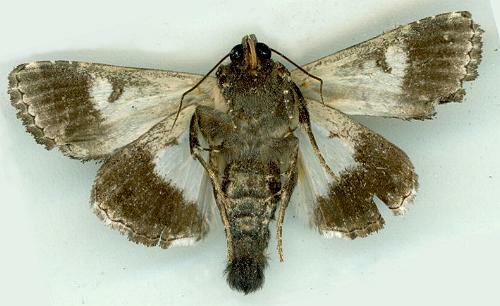 It has been found feeding on plants in ASTERACEAE. 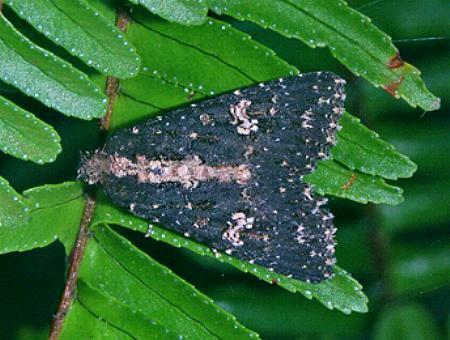 The adult moth is dark brown with a complex pale spot near the centre of each forewing. 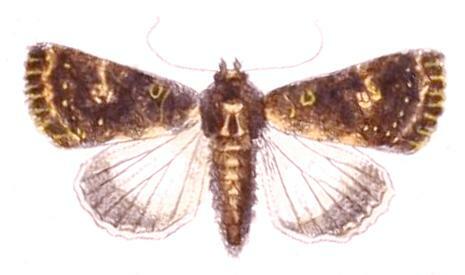 Each hindwing is brown, fading towards the base. 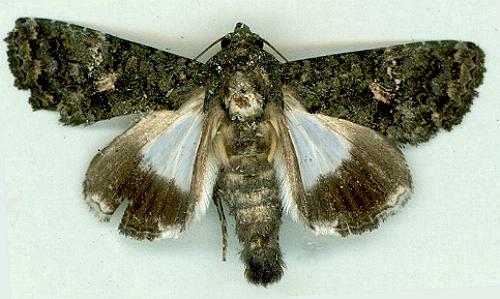 The moth has a wingspan of about 3 cms. LeapFrogOz, Kuranda, 2015, p. 120. Band 2, Abtheilung 2 (5) (1875), p. 11, and also Plate 110, fig. 3. Part 32, Supplement 2 (1865), p. 667.